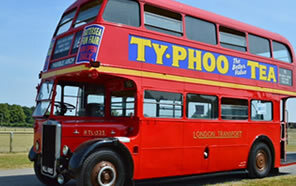 Vintage Vehicle & London Bus Hire Nottingham & Derby specialise in hiring vintage London taxi’s, vintage cars and vintage busses throughout the UK. We now have six vintage London buses for hire for that special occasion, along with our vintage Rolls Royce and London taxi cab’s. Seating up to 72 people, the London RouteMaster can provide that unique experience for your guest, be it for a wedding, birthday party, corporate function or even a school or college PROM. We provide a PSV qualified driver and a conductor to ensure that your guests arrive safely, leaving you to enjoy the day. Contact us today to check availability and pricing. All details are on the Contact Us Page. 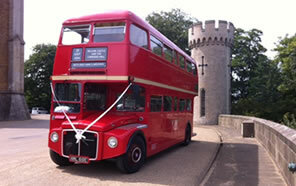 Why not hire our original and completely restored London RouteMaster Red Bus for your Wedding, Birthday party, function or Prom? 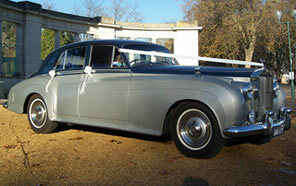 Make your wedding that extra special with our latest wedding car, a Rolls Royce Silver Cloud as your wedding car. Please feel free to arrange a visit at our Nottingham premises to view our beautiful and special vintage vehicles. Great service! Lovely well kept vehicles and a pleasure to deal with.